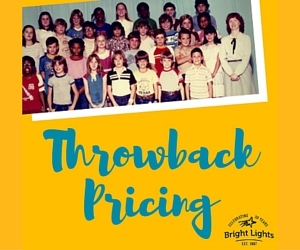 All you need to do is register at BrightLights.org using the promo code next to the class that you want to take, and you'll be in it for just $57.50! Read full descriptions for each class and register now at BrightLights.org. And hurry, space is limited -- and when the spaces are full, the deal is over! *Good only for select classes. Not applicable to class transfers or withdrawals. Subject to availability.